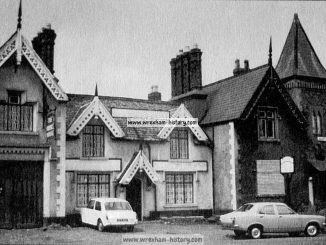 In March, 1942 at a public meeting held at The Hut, Bodhyfyd, Wrexham, the decision was taken to form The Wrexham Operatic Society in order to promote the musical and dramatic talent of the District by the study and performance of operatic and musical works and the raising of funds for charitable or philanthropic purposes. This was the birth of our society and it grew rapidly into a lusty singing youngster with the production of ‘The Gondoliers’ in January 1943 at the Grove Park Girls School, Wrexham. Press reports of the day recorded a great success. And so our Society, having survived its early days, continued to grow with, as year followed year, bigger and better productions. By 1950 we had outgrown our School Hall and it was decided, very courageously, to hire the Hippodrome Theatre for one week, in order to perform – at a cost of approx. £800 – ‘Gypsy Love’ for six evening performances. By 1956 we had moved to a new venue – the new William Aston Hall, Seating capacity 890, to perform ‘The Student Prince’ with costs now moving up to approx. £1250 for the week. But our aims and objects had been achieved – performances were now an accepted and regular feature of the Wrexham Social calendar and over £3000 had been donated to various local and national charities. The Society continued to make progress but not without its trials and tribulations. The 1959 ‘flu epidemic nearly closed ‘Merrie England’ with only 10 days to go before opening night but the ‘show still went on’ even though to a depleted audience. ‘Oklahoma’ faced disaster as Lloyd Roberts, taking the part of ‘Curly’, was taken ill with a throat infection on the night of the dress rehearsal but James Ruddy of our sister Operatic Society at Birkenhead stepped in to take the part at only 3 hours notice. In 1963 our coach was involved in a crash on its way to the theatre but ‘Carousel’ was performed – opening chorus being only 15 minutes late – without the audience even knowing that a doctor and nurse were back stage treating the cast for injuries and shock. Cost, of course, had continued to rise and we felt that we could no longer afford professional producers but even this challenge was overcome by the promotion of amateur producers from within the ranks of our now very experienced Society. But times were changing too, and with the coming of the ‘new musicals’ such as ‘Oliver’, ‘My Fair Lady, and ‘Half a Sixpence’ it became apparent that it was now necessary for us to build our own scenery, paint our own backcloths, etc, and in order for us to do this permanent Headquarters were necessary. 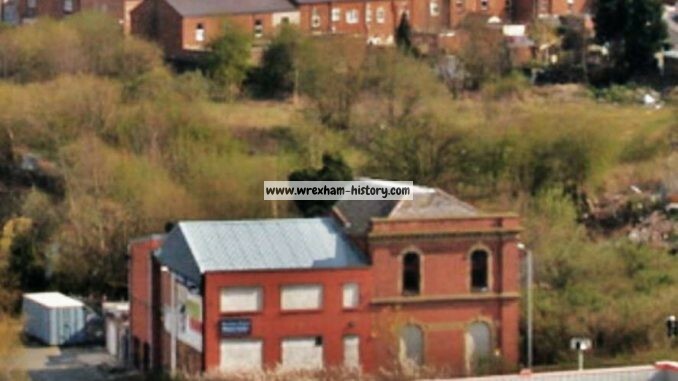 With this object seen as a further challenge a Building Fund was formed in 1966 and in 1968 a lease on a dilapidated property at 62a Regent Street, Wrexham, was signed. Overnight our members became bricklayers, carpenters, plasterers, painters and decorators, with the result that our first official Headquarters were opened on 9th November 1968, at a cost of materials only. Now at long last a dream that had first been mooted as long ago as 1949 had been fulfilled and we had our very own rehearsal room, workshop, kitchen and bar. Undoubtedly another ‘great achievement’ but within a few years it became even more apparent that our Headquarters were too small, our rehearsal room being too cramped and the workshop space inadequate. Larger and more commodious premises were essential and in order to face this further challenge, in 1973, a new Building Fund was formed. Again our members rose to face this tremendous task and by the end of 1976 the Society had, entirely by its own efforts and without any recourse to outside help, raised nearly £9,500 But the years of 1973-4-5-6 had dealt us a staggering blow through inflation galloping ahead of us with undreamt-of-rapidity. Building and land costs had risen to astronomical heights and in order to face up to this further challenge we changed our constitution and formed ourselves into ‘The Wrexham Musical Theatre Society’, a non-profit making Charity whose first task was the purchasing, building and equipping of a new Headquarters. With the renovation and decoration of our new Headquarters complete we decided that the time was right for another production and we gladly accepted Theatr Clwyd’s very kind invitation to perform in the professional Theatre with such excellent facilities. The show was ‘Hello Dolly’ and once again the Secretary found himself in a familiar position; looking for a replacement with a fortnight to go. The replacement was none other than Dolly herself! Our original choice Audrey Rhodes had to undergo surgery, and once again we turned to our friends from Birkenhead who loaned us their ‘Dolly’. At the time Meg Johnson was little heard of, but now of course she is more widely known as Eunice Nuttall in Coronation Street. Meg was transferred to us for the week and from then on has been a great friend of the Society. In the following twelve months the Society returned to Wrexham and performed two shows ‘Annie Get Your Gun’ and ‘Finians Rainbow’ before being invited back to Theatr Clwyd once again in the spring 0f 1981. For this production the Society chose one of the all time greats ‘The King And I’. The show was a fantastic success and the box office records showed us a 98% turnout. We continued our productions at Theatr Clwyd between 1982 and 1998 with ‘My Fair Lady’, ‘Oliver’, ‘Fiddler on the Roof’, ‘The Sound of Music’, ‘Annie’, ‘Godspell’, ‘South Pacific’, ‘Hello Dolly’, ‘Guys and Dolls’, ‘Oklahoma’, ‘Carousel’, ‘The Wizard of Oz’, ‘Anything Goes’, ‘Hans Andersen’ and ‘Me And My Girl’. During these years we produced at various venues, smaller shows which included, ‘The World of Irving Berlin’, ‘Richard Rodgers-The Sound of His Music’, ‘An Evening in Anatevka’, ‘Show Stoppers’, ‘Down Memory Lane’, ‘Spotlight on Lerner & Loewe’, ‘Andrew Lloyd Webber’s Music Of The Night’, ‘Music Hall Clips’, ‘West End Night Out’ and ‘A Christmas Carol’. During this period our Youth Section was formed. Weekly “Workshops” were held and the Youth presented their own shows which included, ‘Alice, ‘Christmas At The Riverside’, ‘The Dracula Spectacular’, ‘Alice Through The Looking Glass’, ‘A Perfect Day’, ‘The Wizard Of Oz’, ‘Cinderella’ and ‘The Magic Of Christmas. Having received a substantial Lottery Grant we where able to repair and improve our premises in Salop Road. This work enabled us to double up our rehearsal room as a Studio Theatre, subsequently named “The Riverside Studio Theatre”, signifying our proximity to Wrexham’s river The Gwenfro. Our first show in our new theatre was ‘Stage By Stage’ in March 1988, followed by ‘A Christmas Carol’, ‘Stepping Out’, ‘Oh What A Lovely War’ and ‘Throw Of The Dice’ and some of the Youth productions mentioned above. In November 1999 we went to the newly refurbished Stiwt Theatre, Rhos and presented ‘Singin In The Rain’. We followed this up in November 2000 with ‘Scrooge The Musical’. Despite the difficulties we faced, about returning to Theatr Clwyd, we returned in June 200 with ‘MusicaLLENNIUM’ which we also presented at the Stiwt Theatre. 2014 was Wrexham Musical Theatre Society’s 72nd Anniversary. The Headquarters at Salop Road, Wrexham were sold in 2015, this was due to a dwindling membership and rising costs of maintenance of the building. WMTS as it known now embarks on a new chapter in its history. In 2016 the building was finally demolished and made clear, there is now nothing left of this fine old building apart from the memories of it’s past and present members.